Rising production from both U.S. shale and Libya has been playing havoc with oil prices of-late. The possibility of a strong Summer Driving Season, which may subsequently lead to some inventory drawdowns, has been holding up sentiment in markets. But the possibility of an OPEC deal debacle is starting to loom over markets. Mix of fundamentals and sentiment: First there were cuts. Then, when the mission of production cuts was achieved on the 30th November 2016, doubts began to surface regarding the effectiveness of these cuts. The oil markets demanded a further extension, which was achieved on 25th May 2017 with an agreement that went above and beyond the original 6-month proposal. But after this apparently bullish announcement, oil prices began to fall. It appeared that the market wanted not just an extension but also deeper cuts. When the original OPEC deal was struck, the producers expected that the 1.8mbpd reduction would begin to re-balance the market. But to their dismay, the oil inventories refused to fall, remaining in the upper half of seasonal limits. This and the rising U.S. production, which is expected to grow to 9.96 mbpd in 2018, played down the overall market sentiment vis-à-vis the effectiveness of the OPEC deal. 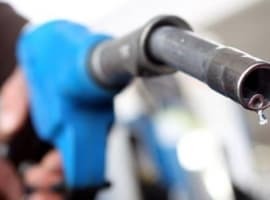 For this reason, when on the 25th of May the oil producers announced a nine-month extension, the news only succeeded to produce a negative to neutral effect on prices and market sentiment. Recently, Bloomberg reported on the reduction in costs for deep-sea well drilling. From $75 in 2014 the report shows that the total cost for deep sea well drilling is now $50. This week, the total oil rig count also rose for 20th straight week, bringing the total number of rigs to 722. Libya has added to its production as well, taking it up from 800,000 bpd to 825,000bpd, causing oil prices to fall 3 percent. Benchmark Brent came down (temporarily) the $50 mark. 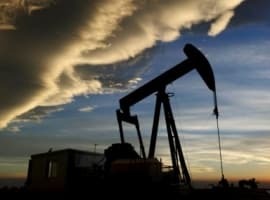 The investment bank, Goldman Sachs, has downgraded its projections for oil prices, with oil prices under pressure from rising U.S. Shale and oncoming projects. The bank has also echoed concerns about the absence of any “clear exit strategy” for OPEC. This reporter’s latest article discusses the process of Displacement to Stability [Displacement--------Euphoria------------Reality Check------------Price Drop----------Stability]. The market has crossed the first two stages. Another build-up in inventories or an onslaught of reports depicting a rise in production levels might serve as a Reality Check. The very fact that before the extension of the Vienna accord the markets saw everything was back to square one (prices went to pre-deal level) is an example of this Reality Check. There might have been an inventory draw recently, but the spike in oil prices is only temporary. For market re-balance to begin the fundamentals needs to change, with stronger demand draining supply. 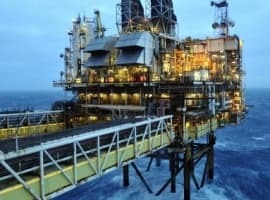 But rising U.S. production and the fear of additional barrels from Libya and Nigeria (both exempted from the deal), as well as the falling cost of production which is causing the rig count to rise, form a dark cloud over the OPEC deal. If the producers are once again disappointed by the effect on prices, the OPEC deal may soon be doomed to failure. The longer the agreement lasts, the more likely cheating becomes, unless they can't cheat without getting caught. I sure wouldn't squeal on Putin. Run over by a snowplow.